People living with arthritis are often dismayed by how much the disease steals from their lives. If you have arthritis, physical limitations caused by chronic pain, chronic fatigue, stress and more can narrow your world and interrupt living a "normal life." With arthritis, energy is consumed just trying to accomplish ordinary tasks and usual daily activities. Your focus may be limited to just "getting through the day." Arthritis starts to take control of your life, rather than you taking control of the disease. How can you better manage your illness? What modifications can you make to your lifestyle to make living with arthritis easier? What actions can you take to gain and maintain control over the limitations imposed by arthritis? Arthritis is an unpredictable disease, as is the future. Accepting new realities and redefining life within the limitations imposed by disease is important for people with arthritis. A positive attitude can help you manage life with chronic arthritis. Doctors play an essential role in the treatment of arthritis. Choosing a doctor is one of the most critical decisions you make when it comes to your condition. It is imperative that your needs are being met. Find a compassionate, communicative doctor you can trust. Don't fight reality. Don't deny that you have arthritis, nor underestimate its impact. Once you accept that you have a chronic illness and that it is a part of your life for the rest of your life, the decisions you make will be better for you and will ultimately improve your life. You must internalize the acceptance -- feel it, don't just say it. Set realistic goals for yourself. Through reflection and contemplation, you can assess what you are not happy with and work to change those circumstances. Be sensitive to your innermost feelings. You can focus and begin to make necessary changes and adjustments in your life. If you have been diagnosed with arthritis, it's important to learn all that you can about the disease. The importance of knowledge and understanding your health condition cannot be overstated. Joint protection can reduce stress on arthritic joints and decrease pain. There are several joint protection principles which, if followed, will help to conserve energy and preserve joint function. When your doctor hands you a new prescription, it becomes your responsibility to know what the medication is for, how to take it, and what possible side effects might occur. Medication errors have many causes, but usually, have one thing in common -- they could have been prevented. 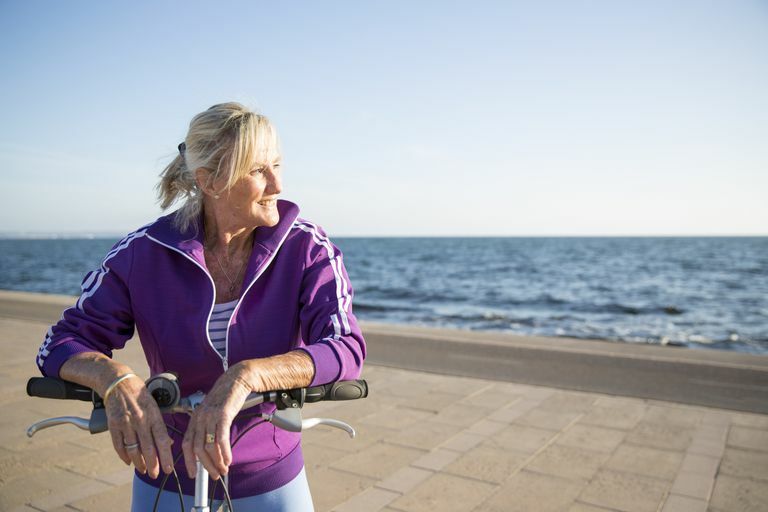 The benefits of exercise, as part of a treatment program for managing arthritis, are well-known and documented. Despite the known benefits, many people with arthritis avoid exercising regularly. Being overweight, even moderately, impacts weight-bearing joints and can increase joint pain. As you walk, your hips, knees, and ankles bear three to five times your total body weight. For every pound you're overweight, the equivalent of three to five pounds worth of added pressure is added to each knee as you walk. The flip side of that is good news: losing just 10 pounds causes 30 to 50 pounds of extra stress to be relieved from the joints.